Mabel Langley Porter, 94, wife of the late Archie A. Porter, died Thursday, November 8, 2018, at her residence, after an illness. Funeral services will be 3:00 PM, Saturday, November 10, 2018, at Floyd Chapel Pentecostal Holiness Church, Lake City, with burial to follow at Lake City Memorial Park. The family will receive friends from 2:00 – 3:00 PM, Saturday, November 10, 2018, prior to the services at the church. Mrs. Porter was born on October 15, 1924, in Florence County, daughter of the late Ned Langley and Hettie Daniels Langley. She was a graduate of Trifalia High School and was a member of Floyd Chapel Pentecostal Holiness Church. Mrs. Porter enjoyed gardening and reading. Surviving are her children, James A. 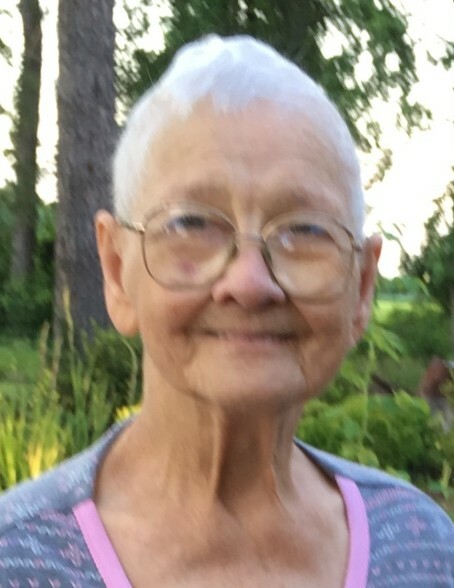 (Debi) Porter of Cades, Elaine (Doug) Foxworth of Coward, Larry H. (Karen) Porter and Wanda (Herbert) Turbeville, both of Lake City; nine grandchildren; fifteen great grandchildren; and two great-great grandchildren. Mrs. Porter was preceded in death by her great grandchildren, Peyton, Gabriel and D. J.; daughter, Phyllis L. Eaddy; son-in-law, E. J. Eaddy; grandson, Jamie Porter; and sisters, Theodocia Miles, Edna Lowder and Mozelle McKenzie. The family would like to extend a special thanks to Amedisys Hospice, special caregivers, Jane Culick and Janice Floyd and the staff of Carolinas Hospital System. Memorials may be made to Floyd Chapel Youth Group, 1701 New Zion Road, Lake City, SC 29560.